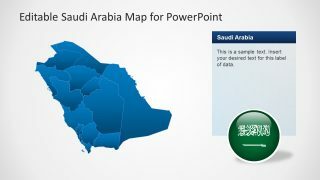 The Editable Saudi Arabia Map Template for PowerPoint is a creative PowerPoint presentation of country map. 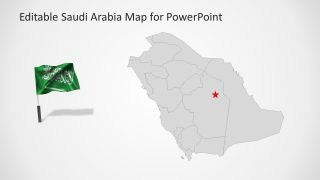 There are total of 7 administrative territories of Kingdom of Saudi Arabia, the second largest producer of oil. Therefore, it uses the profit from petroleum industry to invest in improving infrastructure of country. 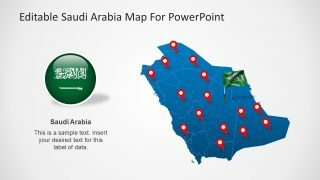 This PowerPoint is applicable in presenting several topics which can relate to demographic display of country. For instance, create a population, literacy or economical statistical analysis. 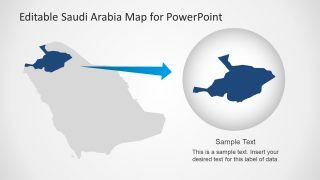 Similarly, students and teachers can make an interesting and engaging display of KSA geography. 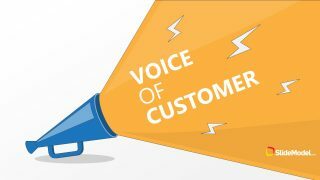 Further, create a sales report of product displaying stock market graphical analysis or travelling plans. 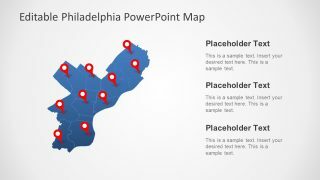 The map contains 13 regions division in the as individual PowerPoint shapes. 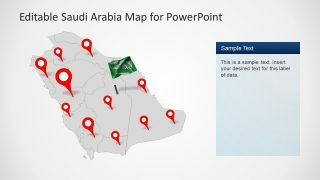 There are 8 easy to edit slides including flag and location pin icons. It helps save time to modify figures by changing different properties of overall map appearance. Such as, colors, shading, resize or move shapes and icons, copy images into another presentation and more. 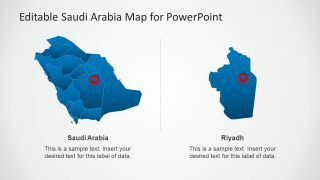 The map of Saudi Arabia is made-up of region shapes join together as one. This way it is easier to highlight single demographic area using distinct color or zooming in. The variation of slides shows several ideas on how to present country demographics. For example, highlight with blue and gray color, with and without borders, location pin on each regional division etc. There are two images for country flag, pole illustration and badge banner. 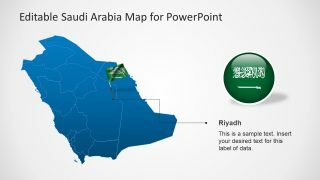 Moreover, the template contains two slides highlighting the Kingdom’s capital city. The one with the use of flag and connecting nodes and the another with close-up on region of capital city. 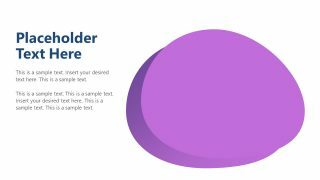 All the slides include text placeholders to add valuable information. 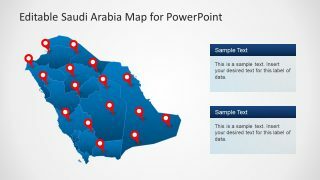 The Editable Saudi Arabia Map template is a professionally design PowerPoint to save time building presentation from scratch. The users can customize presentation using 3D effects, shadows, theme, backgrounds and add more objects from insert tab menu. 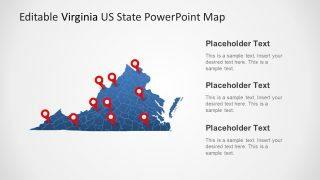 This PowerPoint also gives flexibility to the design of vector base PowerPoint.